Soon, Games Workshop will be setting out on the first of their Warhammer Adventures! There’s just over a month now until the first two books in the new range for readers aged 8+ are launched upon the world. In the Mortal Realms, Kiri will escape her enslavement by Darkoath barbarians and embark upon a mighty Realm Quest in City of Lifestone. Meanwhile, Attack of the Necron will see Zelia Lor and her friends seek the fabled Emperor’s Seat as they face the horrors of the 41st Millennium in the Warped Galaxies series. These new books will be available in paperback, eBook and audiobook formats, with the digital audiobooks exclusive to Audible upon launch read by a pair of very famous actors! Billie Piper, best known to fantasy and sci-fi fans as Rose in Doctor Who, is lending her voice to the Warhammer Age of Sigmar Realm Quest series. For the Warhammer 40,000 Warped Galaxies books, Billie’s former co-star, the Doctor himself, David Tennant will be reading the stories. 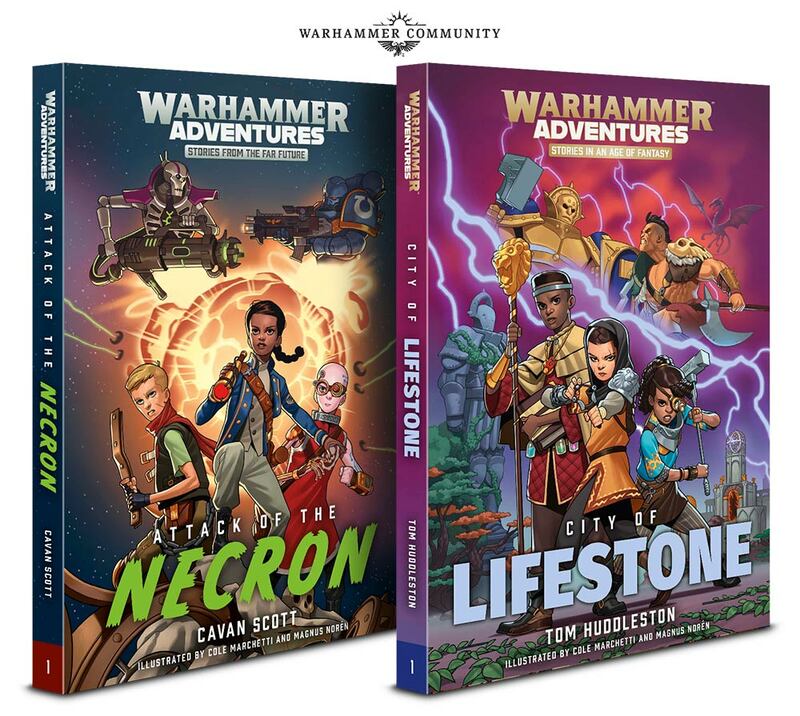 You can pre-order the City of Lifestone and Attack of the Necron audiobooks from Audible now, and be among the first to listen to them when they’re released on the 16th of February. If you’d rather read the eBooks and paperbacks, they’ll be available to pre-order from all the usual places from the 9th of February.